An application has the best chance of staying secure if it is developed using what is known as a secure development life cycle (SDLC). 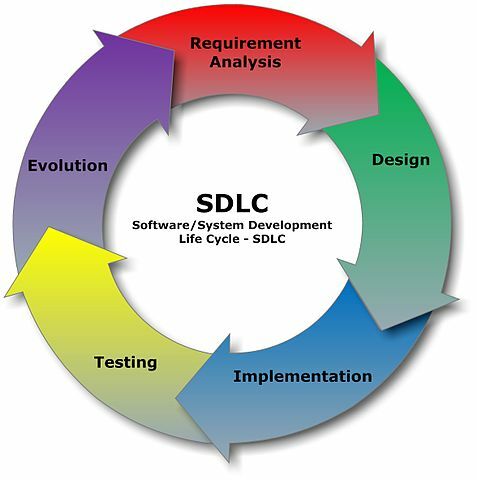 SDLC is comprised of seven phases. Each phase allows developers to build the most secure and user-friendly version of an app. Planning ahead by using an established life cycle makes it easy to anticipate and repair any vulnerabilities that may come as a result of the front-end design or back-end coding of an app. This approach can help developers avoid costly and unexpected security-related discoveries in the last stages of development. Application security testing is a large success factor before, during and after the launch of an app. Testing at every step of development allows developers to understand weak points before a design is finalized. Of course, testing is something that should continue even after an application has been released out into the wild because hackers are always coming up with new methods of breaching security measures. In addition to application security testing, developers may also want to consider penetration testing – a type of white-hat hacking that is carried out by reputable firms that are staffed with teams of skilled and experienced tech professionals. Developers of an app should utilize penetration testing to get a clear picture of the methods real hackers would use when attempting to breach an application. The investment of time and resources that goes into testing is quite small when you consider what is at stake. Isn’t it better to discover vulnerabilities in your own app before hackers find them? Following the steps of the secure development life cycle along with regular vulnerability and penetration testing will actually save an enterprise money in the long run when you factor in the benefits. It takes far fewer resources to identify and design around a security flaw that is discovered early in the process than it is to try and patch it up after an application has been launched. In addition, an application could be abandoned by users and suffer irreversible damage to its reputation if it harbors security risk and causes damage to the enterprise or its users through loss of private or critical data. It is crucial that an application meets standards for regulatory compliance. Lawsuits and fines could easily bankrupt an enterprise or team of developers if an application is found to contain malicious materials. Following best practices through the process of developing and testing web or mobile application will lead to not only a more secure development, but also long term success. Organizations like the Open Web Application Security Project (OWASP) offer great information regarding the current dangerous web application security flaws and solutions to help guide the development process. The bottom line is that every developer and business has a legal and ethical obligation to release the most secure app possible. Following a cycle of development and testing can protect an app against the cutting-edge tactics of today’s hackers.